I must be hallucinating. Did someone slip a ‘Lucy-in-the-sky-with-diamonds’ into my last glass of wine? 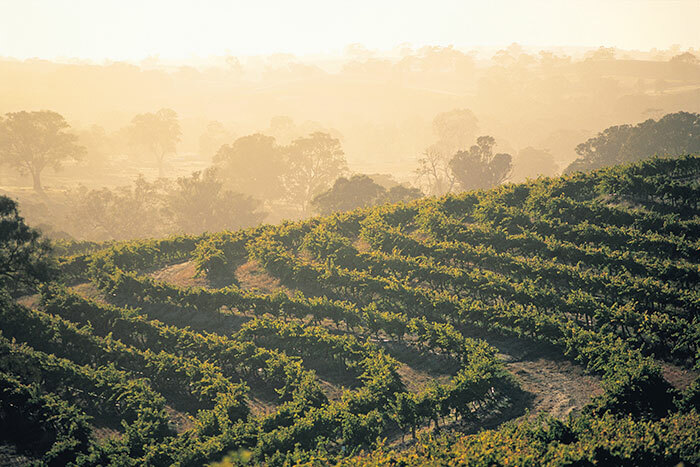 Just 10 minutes out of Nuriootpa, driving past a delightful patchwork quilt of vineyards, tall date and fan palm trees come shimmering into view. I am neither in ancient Amman nor in fanciful Florida. I am in South Australia’s famous wine region, the Barossa valley. For centuries, the Aboriginals gathered to trade in the vicinity calling the meeting place, Nuriootpa. 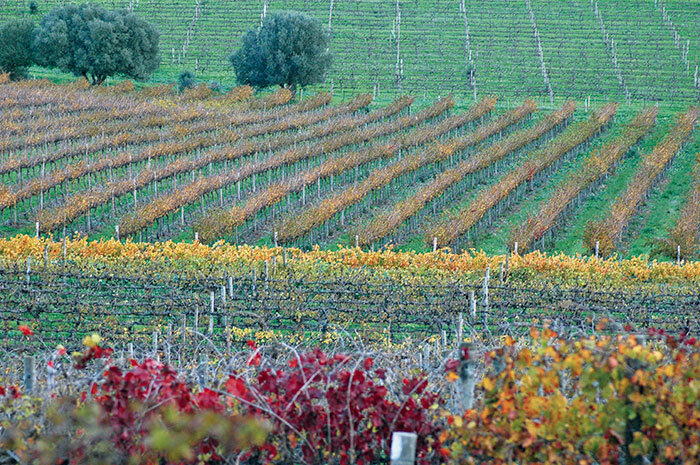 It’s a wine town with a population of around 4,000 smiling people. I wonder if that has anything to do with the fact that almost everyone is somehow involved in the nearby 60 wineries? Seppeltsfield is one of them. The regal procession of palms leads us to this legendary winery whose history rivals many Italian and French ones. 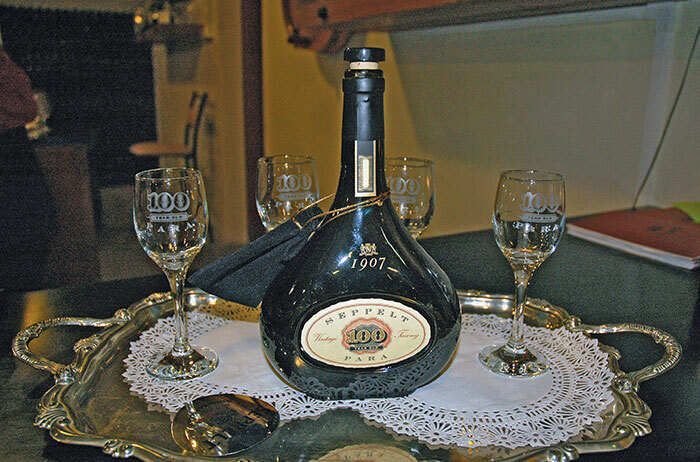 For inside the imposing stone mausoleum, Seppeltsfield guards a cellar with port wines dating back to 1878. That would be around the time my great grandfather was getting married in Sindh! Could he ever have imagined that a day would come when one of his progeny would go visiting wineries around the world to indulge his passion? Travelling to the globe’s far-flung corners to sip that magic liquid distilled from the humble grape? That Versace-clad Indian women traipsing around in Stoffa shoes would have similar indulgences leading their husbands into hitherto uncharted territories like Barossa? But I digress. Our lady guide, with exclamation points in her voice, points with a flourish and says, “Would you believe that Seppelts is the only known wine company in the world to have significant stocks of  consecutive port wines in barrel, dating back to the 19th century?” My friend, travel writer Gustasp Irani and I gasp at this amazing sight. Barrel after barrel, from 1878 to 2008, lined upon the cellar floor. Our guide, whose word is gospel, points out the colour of the 1887 liquid gold. It is deep brown with green-yellow hues. The 1903 one has olive green tinges. She says tasting it once brought tears to her eyes. Tears of joy, that is. We get to taste the 1942 one. It’s frosty, aromatic and tastes of plum pudding. What a buzz! 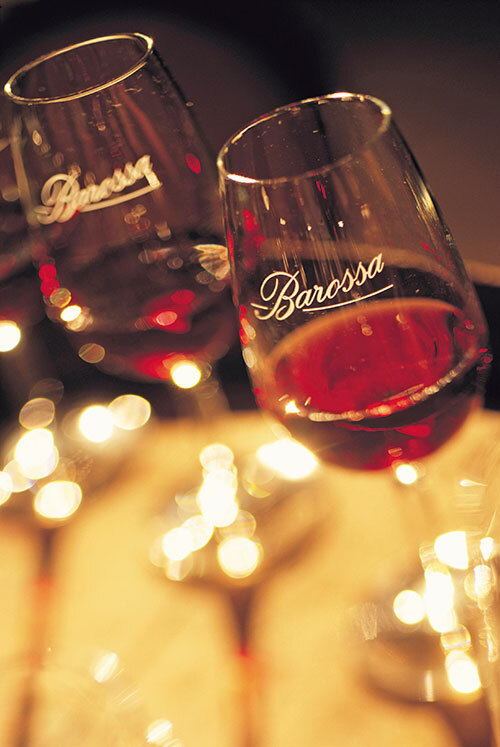 In fact, the buzz about Barossa is bigger than that about Bordeaux. In these times of recession, wine aficionados are looking for big, bold reds (like the ones Bordeaux is known for) at prices that are small and not-so-bold. 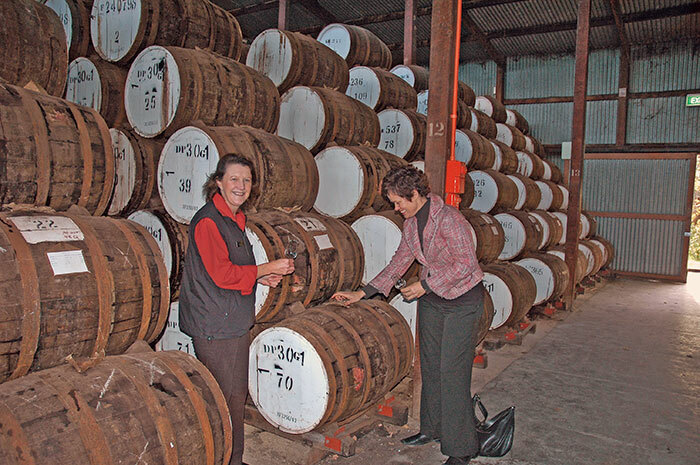 Jacobs Creek, for instance, is produced in the Barossa. As are Yalumba, Turkey Flat, Villa Tinto St. Hallett, Henchke, Grant Burge, Wolf Blass and the other biggie, Penfolds. 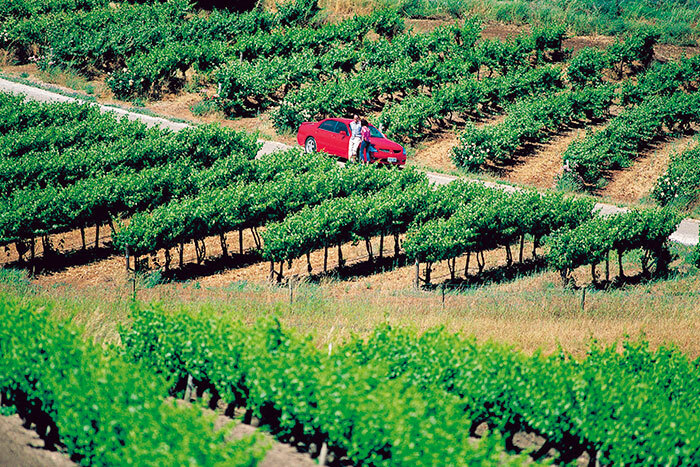 To visit the Barossa is to taste the good life in all its forms. Topping the list are the gastronomic experiences. Choices range from homemade fare to award-winning restaurants. Locals combine techniques and flavours brought here by the first German and Polish settlers who arrived in 1842. Quaint traditions like dill gherkin and pickled onion championships take place every year. How good is that streusel-topped German cake? How ethnic are those mettwurst, leberwurst and black sausages? Since when does Tanunda’s Apex bakery produce sourdough breads and tortes using traditional methods? Since 1924! Providores, restaurateurs, café owners are now part of the evolving landscape that is drawing foodies here from across the globe, tempted by the twin attractions of great food and wine. In the five-star Peppers The Louise resort (with only 15 suites, featuring king beds, spa tubs, outdoor showers, private gated courtyards, BOSE Wave CD, LCD TVs in bedroom and ensuite, espresso makers and views over the adjacent vineyards), internationally-renowned chef Mark Mcnamra conjures up yummylicious dishes at the acclaimed Appellation restaurant. One of the best places to inspect the ‘larder’ is the famous Barossa Farmers Market each Saturday morning near Angaston town – a great sight and sound experience. Talking about experiences, I am delighted I’ve finally got a wine named after me! Don’t believe me? Look at the accompanying photograph. In the middle of the label my name in all its modesty is followed by two important words. Assistant Winemaker. Make Your Own Blend is an interactive and fun wine experience for anyone who wants to be a winemaker for a day. 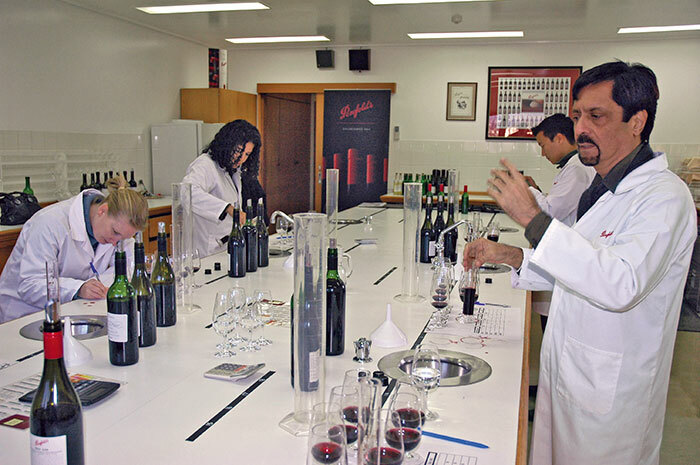 This memorable experience is conducted by Penfolds whose wines are sought after worldwide. 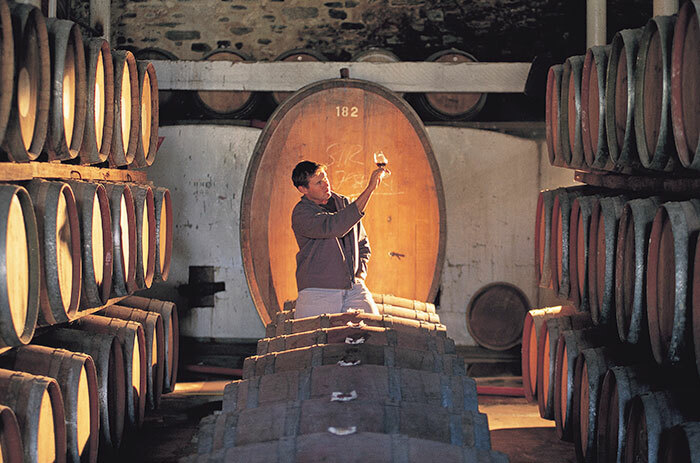 After a walking tour of the winery and wine cellars, guests are taken to the winemaker’s laboratory to try their hand at making their own wine. Bill Biscoe, Penfolds Wine Educator leads our motley crew of visitors to a room that reminds me of my chemistry laboratory in college. The difference is that the Winemaker’s Laboratory is sparkling white and lined with so many bottles of red wine that you could mistake it for a trendy new restaurant. Bill was born in Simla. When he was 10, his family migrated back to South Australia. He’s been back several times to India since, loves the country and is especially pleased to remark how more and more Indians want to understand wines in all their variety and complexity. Let the wine blending begin. We are all given a glass of Penfolds Bin 138 GSM to nose and taste. GSM? 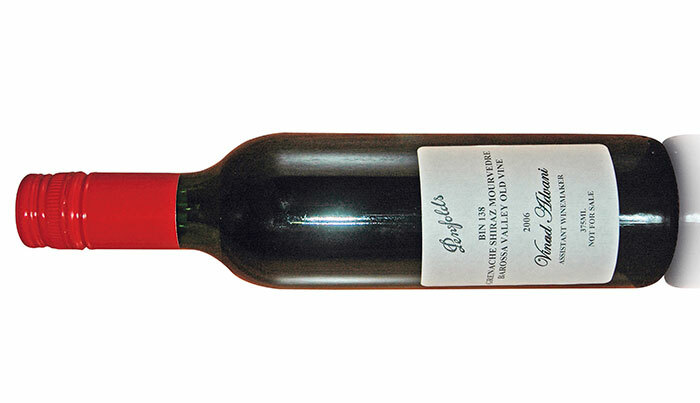 A blend of wines from Grenache, Shiraz and Mourvedre grapes. So breathe. Breathe in the rich aroma of GSM. What do we notice? Fruit? Good. Which fruits? Plums? Blueberries? Spice? 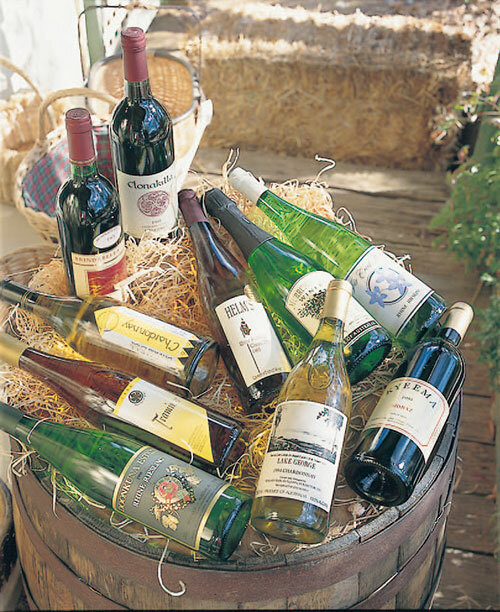 Taste the GSM wine. What are those complex flavours on your palate? Notice them and now start making your own blend. In front of each one of us, three bottles full of red wine. Grenache, a Shiraz, a Mourvedre. Also placed are large test tubes with measuring scales. Finally, a form indicating three alternatives of percentage for us to fill in while trying to make the blend that comes closest to the Penfolds Bin 138. What would your winning blend consist of? 60:20:20 (which means 60 per cent Grenache, 20 per cent Shiraz, 20 per cent Mourvedre)? Thirty minutes later, Bill is ready to judge. I go with 70:15:15! Bill announces the winner. It’s not me, it’s Gustasp. Who, with his redoubtable Persian nose, has arrived at the correct combination of 50:40:10. We are all given our blend in a bottle with our name proudly printed on it, to take home. I didn’t get the first prize, but at least my unique wine bottle is smiling back at me. That’s reason enough to say cheers to the Barossa.